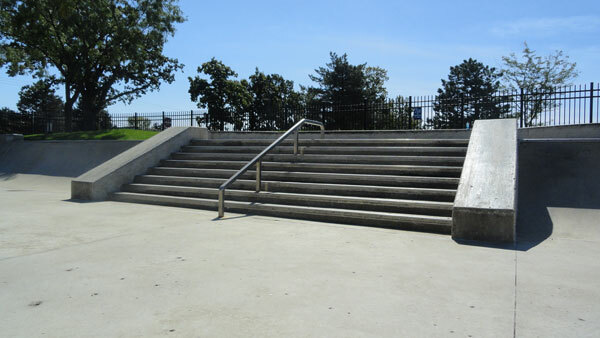 Warren Township Skate Plaza and Trail – Joseph J Henderson & Son, Inc. Architect: Eriksson Engineering Associates, Ltd. The 25,000 S.F. Skate Park Plaza allows talented skateboarders and bikers perform thrilling stunts and demonstrations of skill using the ovals and banks of three concrete bowls with their blocks, pyramids, and steps. The Skate Park was designed for beginner and intermediate use. The Skate Park Trail is 650 feet long with 11 different elements including a low box, fun box, grinding rails and a street spine.